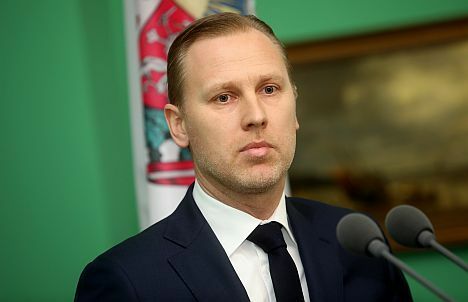 KPV LV, a coalition party of the Latvian government, has decided on February 4 to expel Aldis Gobzems from the party ranks despite previously backing him as KPV LV’s leader and candidate for the post of the Latvian Prime Minister. The motion for the decision on Gobzems had been submitted by a number of party members, including the founder of the party, Artuss Kaimiņš, according to the Latvian Television and Latvian Economy Minister Ralf Nemiro (KPV LV). The party rules of KPV LV set forth that a decision to expell a party member comes into effect a month after it has been made. During the time, the member can appeal against the decision before the board of the party. As to the reasons of the expulsion, Gobzems was a leading figure in the group of KPV LV members of parliament, who voted against the approval of the current Latvian government, despite the majority of the 11-MP faction voting in favour of the government. KPV LV is now part of the government coalition and holds the posts of the Minister of Economy, the Minister of the Interior, the Minister of Welfare.